Previous owners name inside back page. Good condition is defined as: a copy that has been read but remains in clean condition. All of the pages are intact and the cover is intact and the spine may show signs of wear. The book may have minor markings which are not specifically mentioned. Most items will be dispatched the same or the next working day. Very Good. Child Protection by Lyon, Christina M., 2006-07-28. 185 p. Intended for professional and scholarly audience. Very Good. Child Protection by Carmi, Edina, 2010-08-20. 200 p. Intended for professional and scholarly audience. Very Good. Child Protection by Lyon, Christina M., 2004-07-22. 113 p. Intended for professional and scholarly audience. Good. 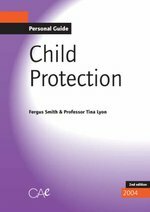 Child Protection by Lyon, Christina M., 2004-07-22. 113 p. Intended for professional and scholarly audience. This book has soft covers. Ex-library, With usual stamps and markings, In fair condition, suitable as a study copy., 200grams, ISBN: 1899986413.